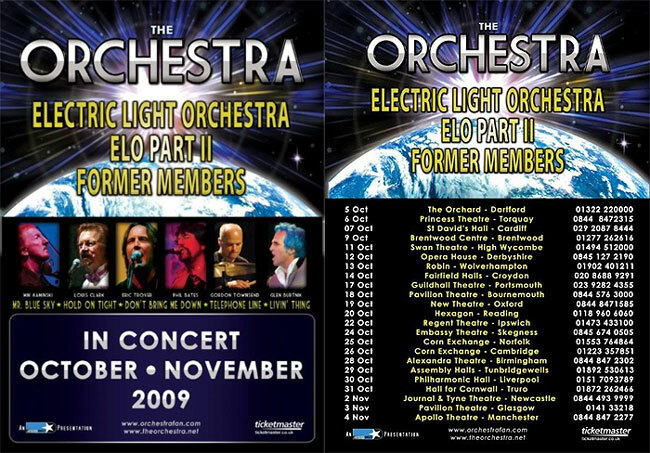 Here is my review of The Orchestra's brilliant gig at Buxton Opera House on Monday, October 12th 2009. Another 300-mile round trip to look forward to, as we headed down to Buxton in the Peak District. We arrived about 7:00pm so no time to wander around the town, as we headed straight to the venue. We had seats close to the stage in the third row fairly central. What a beautiful looking venue, which has had millions of pounds spent on bringing back into first class condition. As we took our seats and concert start time approached, the theatre was rapidly filling up to near-capacity. The lights dimmed and the new intro music started as the band came out of the shadows to take their places on stage. We all started to clap and cheer as the band started off with 'Rock & Roll Is King', which was followed by 'All Over The World'. 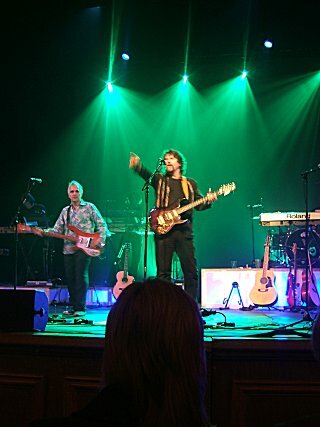 Loud applause and cheering followed as Mik came into the spotlight as the band performed the classic 'Livin' Thing'. Next up was the return of 'Strange Magic', nicely sung by Eric and the first time I have heard this performed live since the E.L.O. Part 2 tour of 1999. Phil then came to the front to introduce the next song which has never been performed live by either E.L.O, E.L.O. 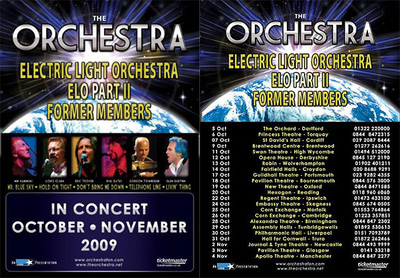 Part 2 or The Orchestra and that only the 'die-hard' E.L.O. fans would know the song - 'Four Little Diamonds' from the album 'Secret Messages'. With Mik Kaminski taking to the keyboards, this was a stunning performance and a great choice of song which received huge applause and cheers. 'Wild West Hero' up next followed 'Showdown' with stunning guitar and vocals by Phil. 'Sweet Talking Woman' which was next got a loud cheer from us all, as many of the audience finally stood up, singing and clapping along to the track. Lou Clark then came down to the front to introduce the band members, including his drinking buddy of the past 35 years, Mik Kaminski. 'Twilight' next, followed by the return of the early E.L.O. hit '10538 Overture'. Again an absolutely stunning performance of one of my favourite E.L.O. songs with a surprise twist at the end with the song ending with the outro of The Beatles track 'Dear Prudence'. I am sure Roy Wood who was in the audience was so pleased to hear this brilliant performance. 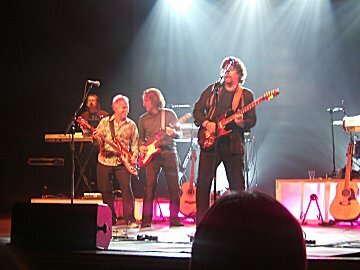 Glen Burtnik on bass then intro'd the huge South American hit 'Last Train To London' with the audience still up dancing and clapping along followed by 'Do Ya' with Eric Troyer front of stage on guitar with Phil & Glen. 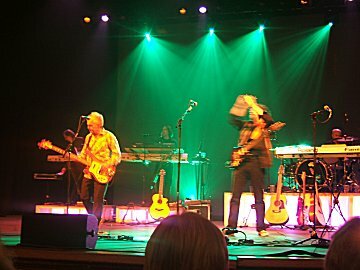 Phil then told the audience this was the end of the first part of the show, and as Kelly would have said, 'go and have a few drinks and the second part of the show will sound even better'!! After the break, Glen came to the front to introduce the second half of the show beginning with an acoustic-style performance of his song 'Watching The World Go By', assisted by Phil on second acoustic guitar. Phil then introduced the next songs from E.L.O. Part 2, 'One More Tomorrow' written and sung by Phil, and '1000 Eyes' written and sung by Eric Troyer and my favourite E.L.O. Part 2 song. 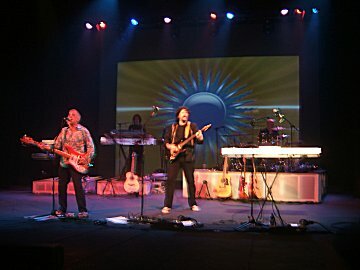 Both songs received loud applause from the audience. 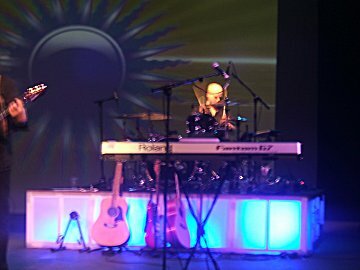 The 'singing drummer' Gordon Townsend then took centre stage with a fantastic rendition of the George Harrison penned Beatles song 'If I Needed Someone'. Loud applause from the audience for this one. 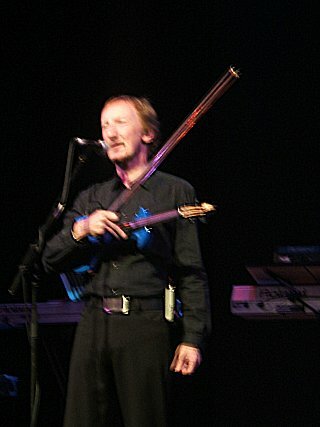 Mik Kaminski then came under the spotlight with his violin solo which then blended into Eric's unique re-working of 'Twist And Shout'. Again the audience cheering to this superb song. 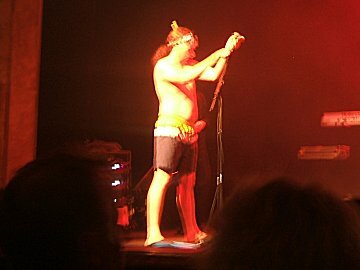 Mik Kaminski then stepped up to the microphone to introduce his hit single with the band Violinski, 'Clog Dance'. This got most of the audience back on their feet clapping along. More of the classic E.L.O. songs folllowed next with everybody dancing and clapping along to 'Ma Ma Ma Belle' and 'Evil Woman'. 'Telephone Line' slowed things down for a moment with great vocals from Eric. Then another new addition to the set list 'Calling America', which has not been performed live for many years. Superb. The audience clapped and cheered until the band returned with 'Don't Bring Me Down' with Kelly's voice shouting 'I Can't Hear You'!!!! 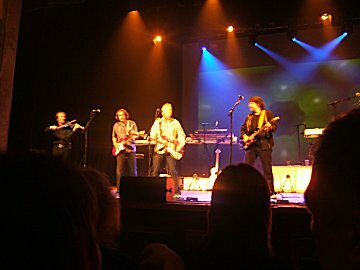 Lots of audience participation with this the last song with Phil, Glen, Eric and Mik urging everybody to get on their feet and sing along. 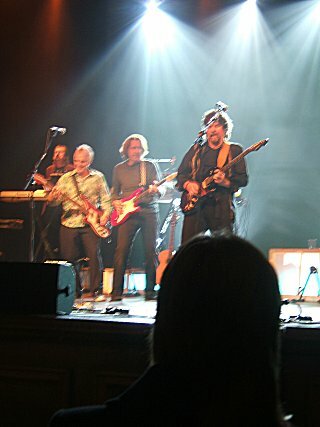 The band then came to the front to receive a standing ovation. Another superb concert by the band. Glen really seems to have settled in now, looking much more relaxed on stage and taking on more lead vocals than on the Spring U.K. tour. Looking forward to our next gig in Liverpool on October 30th, as we headed back off to the car for the 150 mile trip back home to Carlisle, arriving back home just after 1:20am. Check out the Videos section to access my Youtube channel to view my footage of the encore 'Don't Bring Me Down'.